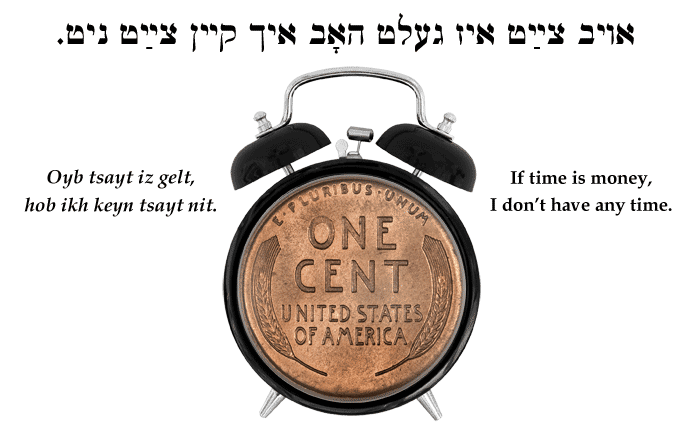 Yiddish Wit: If time is money, I don't have any time. ‏אויב צײַט איז געלט האָב איך קיין צײַט ניט. Oyb tsayt iz gelt, hob ikh keyn tsayt nit. If time is money, I don't have any time.